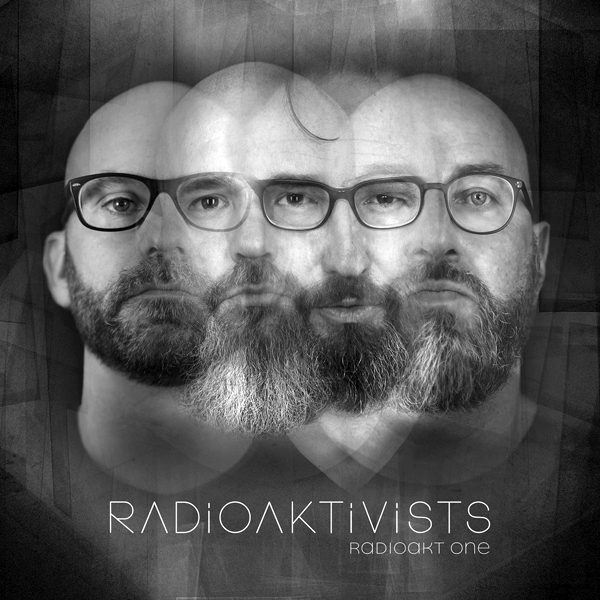 Radioaktivists seemingly started back in 2012 when Seabound’s Frank Spinath teamed up with Architect’s Daniel Myer and Rotersand’s Krischan Wesenberg to produce one song, “Pieces of Me,” and perform some live shows together. At first, this writer wasn’t sure how Sasha Lange fit into it until some live concert footage from around this time revealed that he did show up to sing backup while the band performed a cover of Seabound’s “Watching Over You.” Five years later, the band released a new track, “I Want You,” this time with Lange’s vocals present. Then a year after that, Radioaktivists finally released the debut album, Radioakt One, and with the amount of talent and prestige these artists bring, as well as the positive reaction of “Pieces of Me,” it’s an album with much to live up to. We open with “Radioaktive,” which feels different than the other tracks as it opens and closes with some moody sounding horns while all of the vocals are done with a flat vocoder, neither of which are revisited for the rest of the album. It does make a good showcase for the actual production work being done by Myer and Wesenberg, and it has a nice, casual dance beat with plenty of synth layers to fill out the sound without crowding it. It also shows off a bit of glitch editing, which also doesn’t show up much on the rest of the album. The next track is “Raiders,” one of the standout tracks of the album; Spinath’s vocals are as good as always, and he writes a hell of a hook for a chorus. Myers and Wesenberg keep up, still using that solid beat and adding a single guitar note to accompany the synths, building up appropriately to complement the chorus. “Skin and Bones” slows things down with a track that sounds a lot like Depeche Mode with Lange on the vocals. Spinath and Lange trade vocal duty throughout the rest of the album, although they never seem to appear on the same track together. “Pieces of Me” still holds up as one of the best tracks with subdued but intricate beats and synths, and of course, Spinath’s chorus. Overall, there aren’t any bad tracks on Radioakt One. But the album ultimately doesn’t live up to the promise of all that talent – this simply isn’t anyone’s best work. Lange’s vocals are better sounding here than in his previous band, Chromosome 86, and they really would hold up well on their own, but they dont stand up as well when contrasted with Spinath’s more experienced delivery. As such, the album feels like a mix of Seabound and one of Myer’s other projects like Destroid… but it’s not better than either of those. If you are a fan of any of the players, or just a fan of futurepop in general, it’s well worth a listen. Radioakt One definitely above average for the genre, but it doesn’t quite hit the mark for being the product of a supergroup.